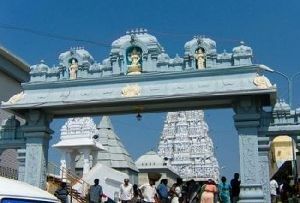 The Tirupati Venkateswara Temple is one of the most important pilgrim sites of the Hindus. 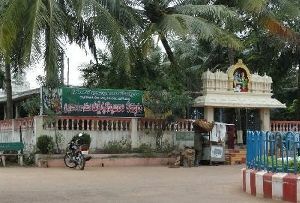 It is visited by a large number of devotees each year. 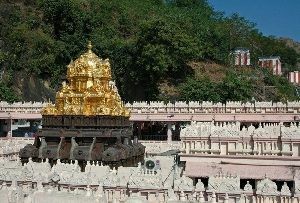 Located on the seventh peak of the Tirupati Hill, this ancient temple is a must see for all tourists. It is emblematic of wonderful architecture. One can also get an idea of the tremendous faith that people have in this deity when they visit the temple. Individuals willingly stand in long queues just to get a glimpse of the lord housed in the richest temple. A visit to the temple is like a spiritual sojourn that simply overwhelms the senses. The glorious history of this temple spans for several centuries. 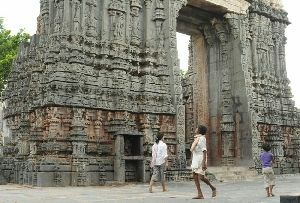 There is literary evidence as well as a lot of engraved inscriptions that point out to the antiquity of this temple. 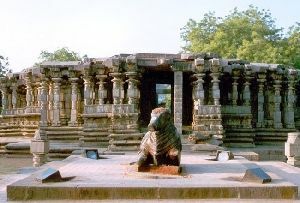 Kings belonging to the Chola, the Pandya and the Pallava dynasty have been regular visitors to this temple. Sri Krishnadevaraya was an important contributor and endowed the temple with rich offerings. A permanent endowment fund was set up by the Maratha general Rajhoji Bhonsle so that regular worship in the temple could be carried out without any hindrance. With the coming of the Muslim rulers, the temple came under their supervision and at a further later period, the British were transferred the power. Eventually the East India Company decided that they would no longer take the responsibility of administering native religious institutions. The Sri Seva Dossji of the Hatiramji Mutt at Tirumala was entrusted with the responsibility. They continued to hold power for over a century till 1933. 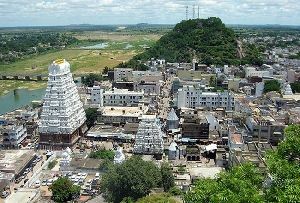 Then in 1933 the Tirumala Tirupati Devasthanams Committee took over. Finally in the year 1951, a Board of Trustees took over the administration of this grand temple. The outer Gopuram of the temple is inscribed with figures of Vaishnava gods. You will surely be impressed by the architectural brilliance of these craftsmen. 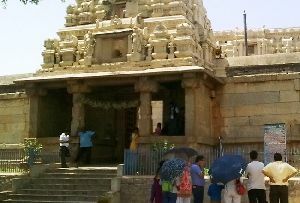 There are several Mandapams in the temple. 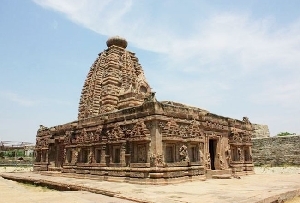 The Ranga Mandapam reflects the Vijaynagara style of architecture and was constructed between 1320 and 1360 A.D. It is believed that when Srirangam was occupied by the Muslim rulers, the idol of Lord Ranganadha was kept here. 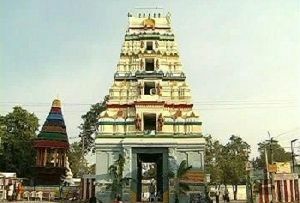 The Tiruamla Raya Mandapam is a spacious complex of pavilions. 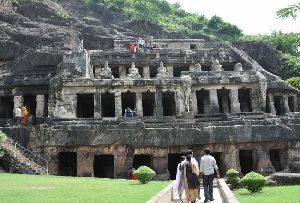 The Dhvajasthamba Mandapam is a complex with a large number of pillars. 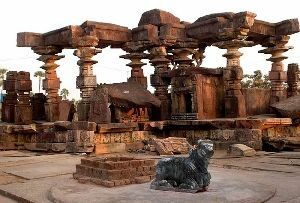 You will simply be fascinated to see the remarkable sculptures that are there in this Mandapam. The central pillar of this Mandapam is surrounded by several small pillars. Strike one of these pillars with a small stone and you will surely be amazed to find that they emit musical sounds. Bronze statues also adorn this Mandapam. The Aina Mahal is rightly named because there are a large number of ainas or mirrors which reflects images on its walls. It consists of two parts. 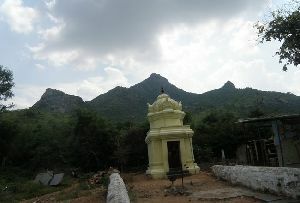 There is an open Mandapam with a total of 36 pillars and a shrine consisting an Antarala and Garbagriha. The portals of the temples are adorned with statues of Krishnadevaraya and his consorts which were installed by Krishnadevaraya himself. The Maratha general Rajhoji Bhonsle gifted valuable jewels and that included emeralds which have been retained to this day.